I have the privilege of loving my children (although imperfectly) for a limited number of years. But the God who designed them-and me- loves us perfectly. His love knows no limits. Yes, God cares about our fears, our scrapes, and our concerns. But much more than that, only he can bring healing to our hearts. We cannot come to God on the basis of our good works, social standing, money, or education. A re­lationship with him cannot be earned. Rather, we come to God on the basis of what Christ has done and through our faith in him. When we place our faith in Jesus, we stand in the position of incred­ible privilege-we become children of God. 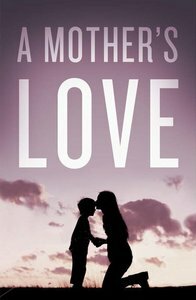 About "Mother's Love, a (ESV) (Pack Of 25)"